When used with the new Multi Material Upgrade 2S, the new IR filament sensor needs to be calibrated before first use, in order to work properly. The calibration of the IR sensor is based on the correct position of the chimney (IR sensor holder) on the extruder. This calibration is purely mechanical. There is a warning in the assembly manual and the exact procedure is also described in the MMU2S Handbook you have received printed in the MMU package. If you do not have the Multi Material Upgrade 2S, this guide is not for you. 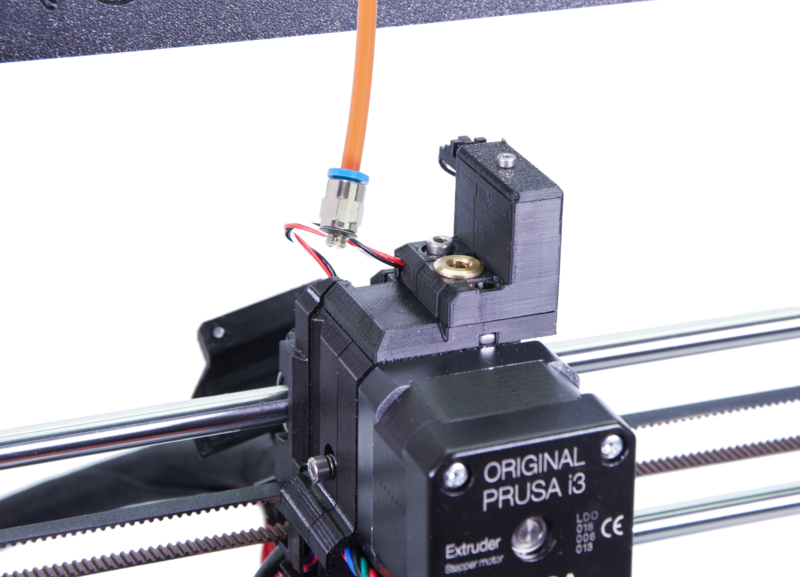 Even when there is no filament inserted in the MMU2S extruder, it is possible the sensor assumes the oposite. This happens because of the geometry of the extruder. First of all, make sure you are running on firmware version 3.6.0 or higher. Always make sure you are running on the latest firmware version for your printer model. Unscrew the Festo fitting of the PTFE tube leading from the MMU to the extruder. Open the LCD menu -> Support -> Sensor info and focus on the IR value. 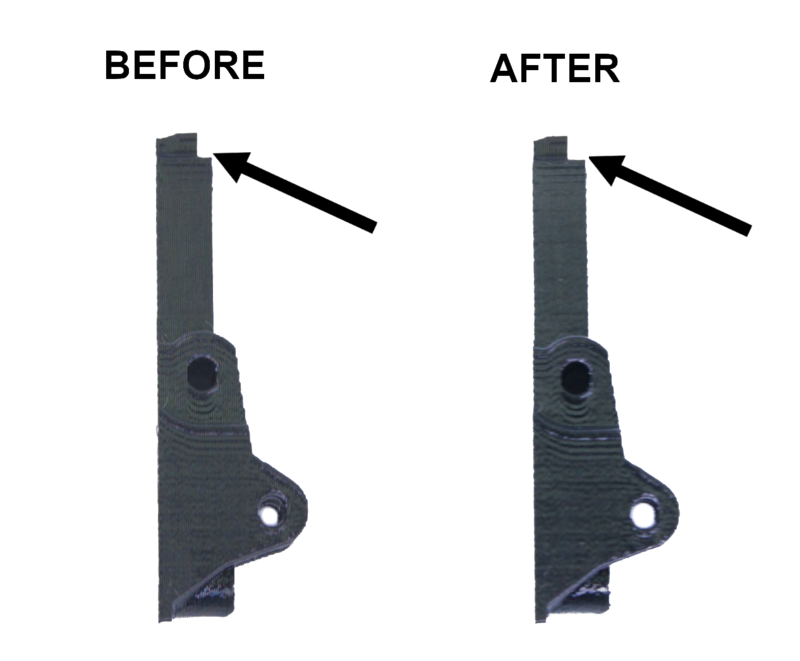 The IR sensor value has to be a stable 0 when there is no filament and a stable 1 as long as the filament is present in the extruder. If the value is not correct, loosen both M3 screws on the chimney/tower. Move the chimney as far left as possible until the IR value is 0. Tighten the M3 screws on the chimney. Insert a short piece of filament into the extruder (without preheating), it has to be inserted in between the Bondtech gears. If the IR sensor value turns to 1, the calibration is done correctly. If not, continue to the next step. Pull out the filament from the extruder. Loosen the M3 screws on the chimney and move chimney tiny little bit to the right. Continue with step 6. In case the sensor keeps showing 1 even though the chimney is pushed all the way to the left, it might be necessary to cut a small dent at the top of the lever with an exacto knife. Do not remove more than 2 or 3 filament layers! After calibrating the sensor, attach the PTFE tube back in.